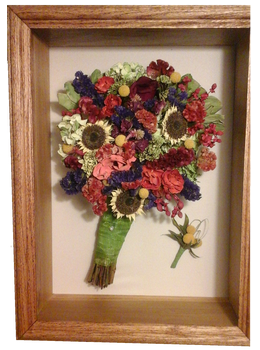 A Floral Keepsake is a family run business, located in Gainesville, Virginia. Our floral preservation work began in early 1987. We come highly recommended by the local area florists, and our many satisfied customers hail from Virginia, West Virginia, Maryland, and the District of Columbia. All Rights Reserved. Copyright © ALLIZ Software.